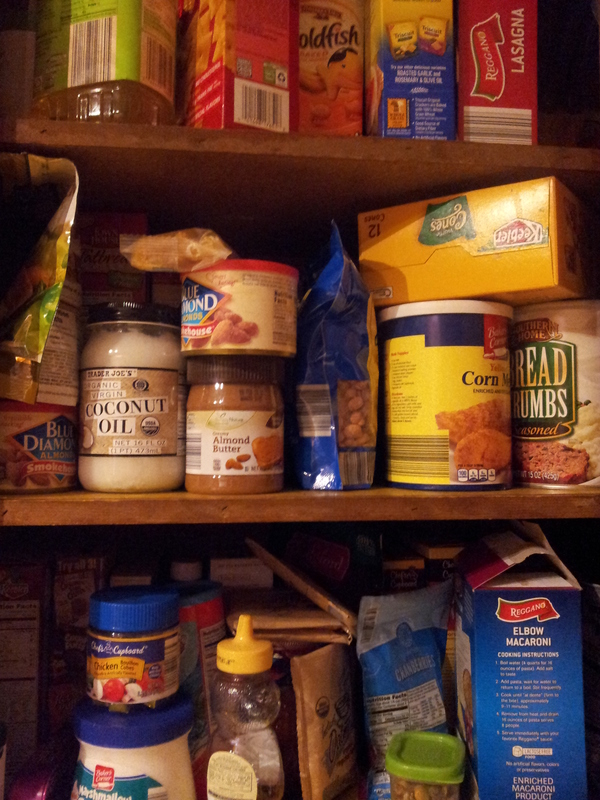 So, for starters, let’s talk about what this post is about: Cooking from the Cabinets. I hope that a lot of you are better than this, but I know I’m terrible about buying groceries every week without necessarily using what we already have. I’m good about meal planning, but I only use what I need to make those meals and miscellaneous other things begin to accumulate in the cabinets. The soup I bought when it was on sale, the extra box of macaroni that I bought thinking we needed some, the cake mixes, almonds, or salad dressings that just build up and build up until I come home with groceries only to realize that we don’t have room for them. I mean, come on. It’s embarrassing. This is PLENTY of food to cook from. What a first world problem, huh? It’s horrible and I feel terribly guilty about it when I know how many people out there go hungry. So, this week I’m doing something about it. I simply decided not to buy groceries. No advance planning, no tweaking my supplies, nothing. Just roll with what we have and figure it out. As I told my husband, we have plenty of food but we get lazy and don’t want to put it the effort to figure out how to make a meal. We’re better than that! So, here we go. Hopefully you’ll enjoy this and maybe, just maybe, be inspired to be creative in using what you have. Enjoy! This entry was posted in Cooking, Welcome! and tagged cooking, less wasteful, welcome back. Bookmark the permalink.